Today I’m going to share with you one of most powerful financial aspects of using coupons AND I’m also going to share with you a couponing tip that will make anyone who’s using coupons, ecstatic! Anyway, I felt it was important for me to share with you what I believe are the primary reasons to get involved with couponing. 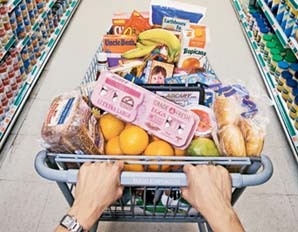 (Please see my previous posts for my debunking of couponing myths). Are any of you old enough to remember paying only 5 cents for a loaf of bread? Nowadays they are anywhere from $1.50 (on sale) to $4.49 for the heartier, hoyty toyty kinds. How about when you paid only 10 – 25 cents for a good sized candy bar? Now they are regularly priced at $1.39. Aye Yay Yay! And yet my research as of late shows that our incomes have no where near caught up with that kind of escalation. But since we all require food (or “food-like” sustenance i.e. peanut M&Ms) then we can’t really accomplish much with our grumbling. Nor can we do much in any act of protest. We’re pretty much stuck. Sure we can be more careful about what we buy, but careful doesn’t get you a loaf of bread for only 5 cents…or does it? I remember in the 1980’s my step-dad was in charge of buying the groceries every week for the family. At that time he had 5 persons in the household—three of which were ravenous teenagers. I remember being shocked when I visited him and discovered that their grocery budget was only $75 a week! I even went shopping with him just to see for myself that it could be done. I was amazed that he was able to feed so many with such a small budget. I realize that small is a relative term, but I know that the $75 Dad spent was carefully calculated in terms of how many servings of food it would deliver as well as packed lunches. During that shopping trip, I remember Dad telling me that he still couldn’t get over the price of groceries. He claimed that he remembered when he and his family lived an entire month on only $50 worth of groceries in the late 60’s and through the 70’s. So, there’s that thought for you, now let me share with you another great way to get your hands on coupons. How would you like to be able to purchase JUST the coupons and not the newspaper? Would you like it if you could get THREE POUNDS of the printed coupons (Smart Source, Red Plum, and Proctor and Gamble) every month for only $33 a month?! I know I would. So, here’s the deal; the cost is $33 a month. 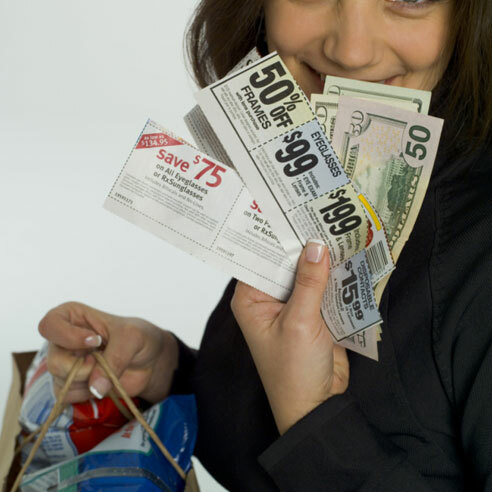 You’ll receive 3 pounds of original, printed coupons. You’ll receive at least 2 of each coupon, sometimes as many as six. The coupons will be from the last 4 to 6 weeks. 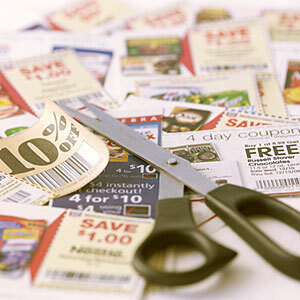 They remove the junk pages from the coupons slicks and also are mindful of any expired coupons. If there are expired coupons, then they throw in more to help compensate for that. You’ll have more Smart Source coupons than the Red Plum or Proctor & Gamble. In order to get this deal, you will have to CALL or EMAIL American Consumer Services. No, they don’t have a website. Their email is [email protected] or you can call them at 1-866-790-5088. Place your order with your credit card/debit card and the following week they will send out your order. Now, this is a small company. Very nice. They still answer their own phones etc. Don’t feel like you have to rush to get this special. In fact, the owner was a little bit nervous about me sharing this with you because he knows that we have 90,000 + readers each month. Whew. Oh, and also, if you mention Preparedness Pro, you’ll get $3 off of your first month’s subscription. Also, you can cancel your subscription at any time if you’re not satisfied. Happy & Giddy Couponing, folks! Be sure that you dress appropriately for your time travel. That doesn't sound like a good deal at all! My Sunday paper is $2.00 and I usually get it for less with negative balance purchases at one of the drug stores. So say I bought them at regular price, I could get 16 newspapers, or 4 per week for $32. I would be guaranteed 4 of each coupon. And I would have them immediately available to match up with sales that often run the same week as the coupon. Ah, but you don't have to get the rest of the paper! Just the coupons! I believe that there is no such thing as "too many coupons." I too get 5 papers a week for just over $18. I also get the All You magazine delivered for 70% off of the face value, and I have been getting the 3 pounds of coupons. I also love the Krazy Coupon Lady, Hip to Save, and Attention Target Shoppers. If you think winning the lottery or playing Bunko is addicting, try couponing. I love, love, love it! *sigh* We are real big couponers up here in good old Canada........but there is no way we can compete with your Americans when it comes to coupons. IT's amazing what can be done there. We drool as we watch all the resources that you have available to you for purchasing items with coupons. Double coupon days, Sunday "papers"......all of that don't exist where we live. But we do what we can to get the best deals that we can on sale days. Oh.......but I agonize at how much more we could save if we had coupons like you do there! Amen, Lynn! I'll have to do some checking and get a better grip on what IS available for Canadians. I'm still new to the coupon game, but I plan my shopping list with all the concern of an army campaign. I have to say I did get my 1st free items and watching the register take items and the cost off is like hitting a slot machine in reverse. It's fun to watch, and you get positive feedback when the cost is over $60.00 and you walk out paying $20.00 and you have meals for 2 weeks. I'm not sure if you have seen the new coupon program from Fred Meyers. You can load coupons on your Customer Loyalty/Rewards card. I'll be trying it out in a couple of weeks. I'll be waxing some cheese this weekend. I am going to try a silicon brush and see how it works in applying the wax. Meyers is one of many stores which you can load electronic coupons on their rewards card. There are three sites from which to load them cellfire.com, pgesaver.com, and shortcuts.com You are able to stack the electronic coupons on top of a manufacturer's coupon AND a store coupon, so essentially you can get the impact of a triple coupon in many instances. PLEASE do not use a silicon brush, Jamie. you've GOT to use a boars hair brush. Trust me on this one, Dear. Thanks for the heads up. I never saw silicone brush discussed. I know where I can get the right type of brush. I can't wait to see how the cheese turn out and stores. Sorry to double post but, several stores in our area have "discount days" for senior citizens, veterans and teachers. It could be worthwhile to take advantage of those discounts as well. I gave up on papers for my coupons about a year ago. I found a couple clipper sites online and now I just pay to have them clip the coupons I want. I don't have to worry about sifting through all of the junk food coupons we don't use, and just order coupons for the products we regularly use and stock up on those. For example, we have bbq chicken and bbq pork each once per month. So I know I need 24 bottles of bbq sauce per year. When there was a Kraft coupon back in April or May, I purchased enough coupons for me to purchase 24 bottles. Then I waited for a great sale (Winco!!) and purchase my 24 bottles for only $,23 each! I look on e-bay for certain coupons every week, as a example I now have over 100 14.oz cans of Progresso Low Sodium Heart Healthy soups in my basement. I know from my Safeway store ads what to keep in my coupon wallet Safeway runs Brand name items in a 30 day cycle, bringing back our favorites all the time. I'm curious how purchasing individually clipped coupons is illegal and what you're pushing is not. I realize you're pushing entire inserts, but where are they coming from? How are they collected and sold without it being the exact same thing? If I buy 10 of a given coupon or buy 10 whole inserts, how does it differ other than I don't purchase the crap I don't want? It doesn't state on the coupons that it's legal to purchase if they are purchased in a complete coupon insert. Good question: The coupon manufacturers SELL their coupon inserts to the newspapers and other media companies. That is the lawful way of people obtaining them. More importantly, that is the lawful way that the U.S. Treasury looks at people obtaining them when money is exchanged. The coupons themselves specifically say "void if sold, auctioned..." It's illegal to sell money in this nation just as it's illegal to sell a specific coupon. Can we sell something that might be worth money? Yes. Can we sell the money? Nope. Fine line, but it's there nonetheless particularly in the United States Code. So what you're telling me is that this company you're buying the inserts from is getting them directly from the manufacturers? Because if they aren't then what they are doing is just as illegal based on what you're saying. "Void where reproduced, taxed, prohibited, or restricted by law." So perhaps there is a law on the books somewhere which I'm not aware of and I should contact my attorney for advice. They're getting them directly from Red Plum and Smartsource, P & G etc. If you read more coupons you'll see what I'm talking about. For example, P&G coupons read " Void if transferred, sold, auctioned, reproduced, or altered from original. Any other use constitutes fraud." Tried to find your Enough and to spare in home program but when I click the link if gives me an error message. Any help would be appreciated.